Repair or replace tankless and tank-style water heaters. Replace sump pumps and light duty water proofing. Repair or replace faucets, toilets and pipe leaks. Work alongside your contractor for plumbing additions. Troubleshoot and replace garbage disposers. Whole house plumbing inspection of all the accessible parts of your home’s plumbing system, with detailed report of our findings (up to 5 bathrooms included, add $10 for each additional bathroom). Everything included in both the Basic Awareness Inspection AND Water Heater Maintenance. Camera sewer line with diagnosis, performed by a plumbing solutions expert. Thank you for taking the time to visit our website. More than likely you are here because you are experiencing one of the joys of home ownership: a plumbing issue. While unfortunately these things do occur, it is our desire to make this situation as painless for you as possible. To provide professional solutions for every aspect of our customers plumbing needs and wants. 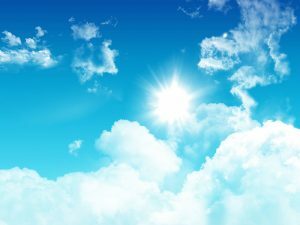 We will strive to do what our customers want by providing the best solutions to fit their unique situation. To have customers so happy with us that we gain the privilege of a lifelong relationship. You expect your plumbing system to work and when it doesn’t, it can be quite frustrating. We understand this frustration and hope to make your experience as positive as possible. Whether you are wanting to exchange that inefficient tank-style water heater for a highly efficient tankless model or simply repair that toilet that is driving you crazy, we’ve got you covered. With Connelly Plumbing Solutions you can expect an honest evaluation, up front pricing before we start, quality workmanship, and respect for you and your home. We are the epitome of the small “mom and pop” plumbing business. We are owner operated and committed to a small, qualified staff. This minimizes our overhead and as a result we are able to offer unparalleled value. We look forward to serving you! Got Plumbing Questions? We've Got Answers. Why is there a sewer smell in my house? Many issues can cause a sewer smell in a home from cracked or broken drains to washed away wax rings under toilets. The most common reason for a sewer smell is from a p-trap going dry. This can happen fairly quickly in a home when a fixture doesn’t have water ran in it at least bi-weekly but weekly is even better. A certain amount of water is needed in every plumbing fixture to prevent sewer fumes from coming out of the system. What should I avoid in my garbage disposer? Anything fibrous such as: celery, banana peels, potato peels or artichokes. Also, avoid cleaning out the fridge all at once as this can lead to a clog. Lastly, avoid grease if at all possible; it can cause major issues down the road. Is there any good drain opening products? Most drain products are acidic and can cause damage to a home’s drainage system. If you have a clog, a drain auger or plunger is best. Enzymatic drain products are good for maintenance to avoid clogs but do not provide a quick fix. Should I be performing maintenance on my water heater? Yes. However, typically a water heater is the most neglected appliance in your home. So it is best to get on annual maintenance early in the water heater's life because if it is started later, be prepared for the possibility of needing some repairs. Are toilet cleaners okay to use in the tank? No. Almost all toilet manufactures void the warranty on the toilet if chlorine based disc style cleaner is kept in the tank. Unfortunately, the good old toilet brush is still best. Contact Your Neighborhood Plumber℠ Today! We had Connelly Plumbing Solutions replace our worn out water heater a few weeks ago. The job was done quickly, cleanly and at a fair price. We will definitely call him again for any plumbing needs. Steve has helped us a couple of times, with toilet and water heater issues. His service is always extremely prompt and professional. He explained things to me in a way that I could understand without making me feel dumb! 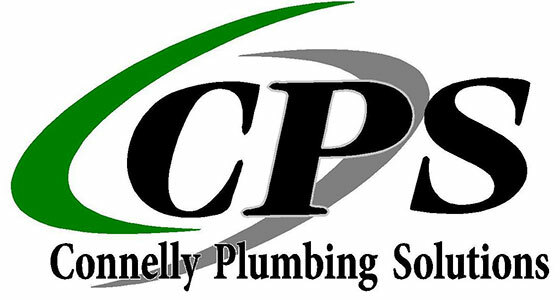 🙂 He is great to work with and we recommend CPS to anyone who ever needs any help with plumbing and water issues. He knows a ton and he is a truly great plumbing professional. We used CPS at our old home in Overland Park, and Steve was courteous and very open and honest about what the problem was and the solution. We recently used him again for a plumbing issue in our new home in Shawnee, and again courteous, professional and very open and honest about the problem and solution. I will definitely be using them for all my plumbing issues if and when they arrive! Thank you, CPS! Great work in a professional manner. Appointments were on time and work on our water heater was thorough.